Few parents are busier than homeschool parents. Between teaching and creating lesson plans, driving children to and from activities, creating schedules and keeping academic records, some days never seem to end. Couple this with a larger-than-average families and spending more time at home (i.e., more mess, more housework), and it’s easy to see why homeschool moms and dads get no time alone. What’s not so easy, is for homeschool parents to carve out time for themselves. For many, this seems impossible. This is exactly the reason moms and dads need to make togetherness a priority. Without specific attention on the marriage during the homeschool years, partners may experience stress or indifference, and relationships strained. Families differ, but some techniques seem to work well in many households. Using these tips as a guide, time for moms and dads can be woven into very busy days. The process begins with the recognition that couples don’t need to leave the house to be alone. Getting away is better, but locking a door and sharing a scone and a latte constitutes a date in many households. Some parents even sit in a parked vehicle in the driveway for a few moments just to get away. These brief periods are refreshing while they last, until a longer opportunity comes along the next time. A phone conversation is another way homeschool parents can reconnect. When getting together isn’t possible, sometimes a 15 minute telephone call during a lunch break or nap time, is. I don’t suggest using wireless devices while driving, but I have met several couples who hold scheduled conversations every evening while the husband is driving home from work. They explain this works because his duties as a dad begin the moment he walks through the door, so the phone call gives him time to spend with his wife before he gets there. Getting out of the house can be possible, too. That is, as long as parents realize date nights don’t have to be at night, and they don’t have to be planned, either. Grabbing chunks of time whenever an opportunity presents itself is the key. If a trusted friend, relative, or neighbor offers to watch the children for an hour, parents should be willing to get up and go. Spontaneous dates are sometimes the most fun, and should never be turned down without a very important reason. 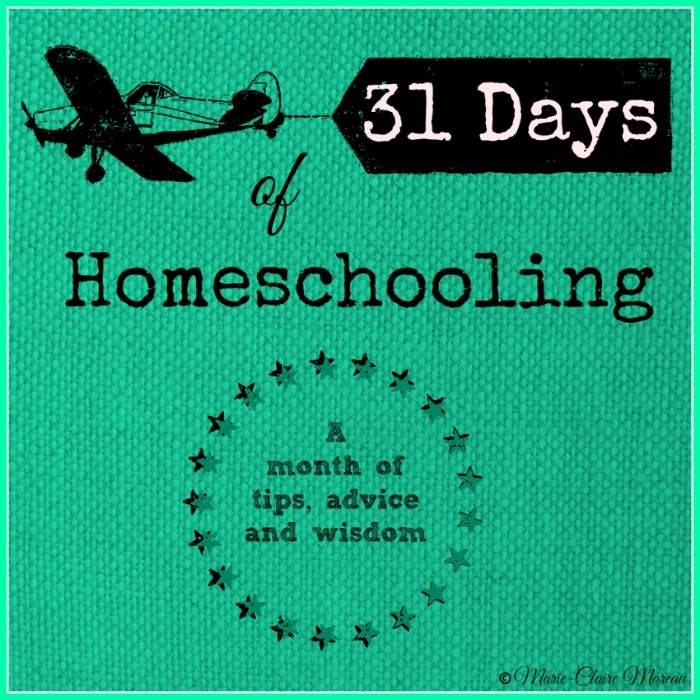 The 31 Days of Homeschooling is now available for download! CLICK HERE to find out how to purchase this program and receive hundreds of homeschool tips all in one place! Includes BONUS MATERIAL not found anywhere else. Actual date nights begin to happen more easily as children get older. In larger families, an older sibling can supervise the younger children when mom and dad need to go out. Having grown up together, knowing all of the procedures and routines well, older siblings make the best sitters around. If there are no siblings quite ready for child care, a babysitter can be found, with the understanding that older siblings are also permitted to help. Sometimes, parents reluctant to use sitters feel better when an older child is present, since their own values and directions will still be followed while they are away. Finally, some couples take the whole family out on dates. Though it might seem counter-intuitive, dating with the children isn’t so far-fetched if it’s at the right place. Those with infants can easily dine with a sleeping baby in a sling or a car seat. Those with toddlers can choose a fast-food restaurant with a safe area for children to play alone. Families with older children may enjoy an arcade-style restaurant (think Chuck E. Cheese or Dave & Busters) where children receive wrist bands and cannot leave the premises without their parents. These solutions may be more expensive, but offer the chance for couples to talk and eat alone. Some moms and dads also hire a sitter to accompany them to these places, so they have nothing to do except pay the bill! The perfect time to get out may never come — that is, until all of the children are grown. Homeschool parents need to get creative about finding blocks of time to spend together whenever they can. Whether a few minutes or an entire night off, this is so important to maintaining a solid relationship, not to mention handling the life they have created together — once they get home. The homeschool years don’t last forever, and those years are too precious to be missed. However, time away from the children does not harm those years — it enhances them. Children feel most secure with happy, loving parents. Time out for moms and dads is the best way to guarantee this will always be the case.